In the world of figure skating, just about everyone knows that the most elite competition in the United States is the U.S. Figure Skating Championships, otherwise known as Nationals. From January 18 to January 27 in Detroit, skaters from around the United States will compete for a spot on Team USA, allowing them to represent our country internationally. Skaters train their whole lives in order to compete at this level. The Geico Figure Skating Championship will include juvenile through senior levels of skating–and every four years, the U.S. Olympic team is determined from the event. The U.S. Figure Skating Championships are sanctioned by U.S. Figure Skating, the national governing body for the sport. Four disciplines–men’s singles, ladies’ singles, pairs skating, and ice dancing–offer the chance to compete for gold, silver, bronze, or pewter medals. In order to compete at the championships, athletes must first be successful at qualifying competitions. The qualifying process for Nationals starts at the regional level. The regions included are New England, North Atlantic, South Atlantic, Upper Great Lakes, Eastern Great Lakes, Southwestern, Northwest Pacific, Central Pacific, and Southwest Pacific. Athletes who attend these events must place in the top four in order to qualify for one of the three sectional competitions, Eastern, Midwestern, and Pacific Coast. Placing in the top four at sectionals will secure a coveted spot in the U.S. Figure Skating Championships. On January 6 from 10:30 a.m. to noon, Toyota will present a special event called Learn to Skate USA SkateFest. Free and open to the public, this event provides an opportunity for those who want to partake in group lessons based on their experience level. SkateFest will be held at Campus Martius Ice Rink in Detroit. The U.S. Figure Skating Get Up campaign will also be making an appearance during Nationals. The campaign is an inspiring reminder that the sport of figure skating is one that requires perseverance and grit. According to the campaign’s message, the attitude that you can get up after a difficult fall or unfavorable routine in competition will provide you with life-long lessons on and off the ice. At the U.S. Figure Skating Championships, members of the organization will be recognizing individuals and companies in Detroit that demonstrate this philosophy. Several stories will be featured on the campaign’s website and shared in-venue during the events. 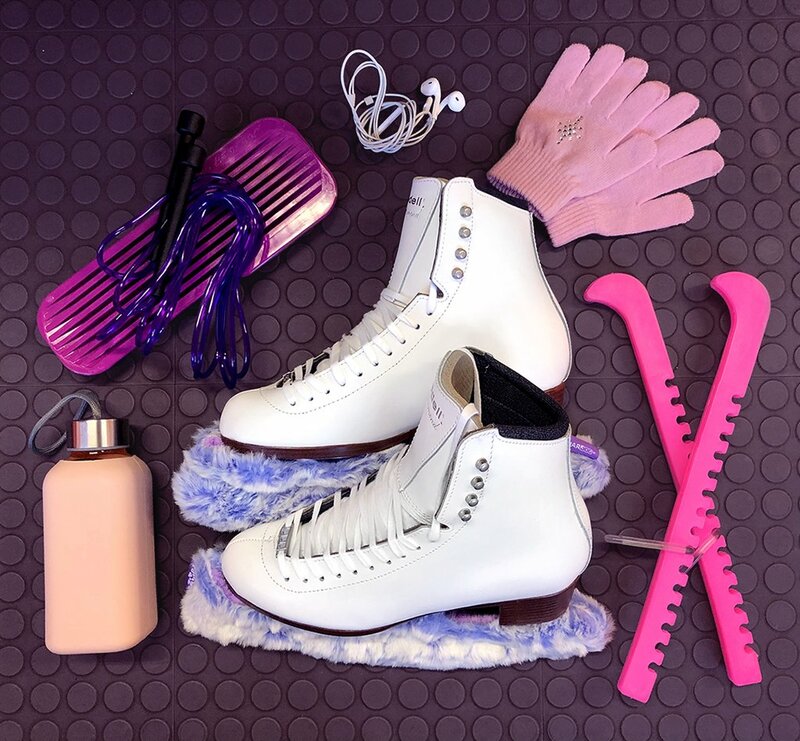 Whether you’re a beginner figure skater or an experienced skater heading off to the Championships, you’ll want to have the best figure skates possible. Custom figure skates from Riedell can give you that competitive edge. Head to one of our authorized dealers today, or contact us to learn about how our master craftsmen can create a skate tailored to your specific feet, making you more comfortable while on the ice.